The G80 Sport comes with a 3.3-litre twin-turbocharged V6 engine. 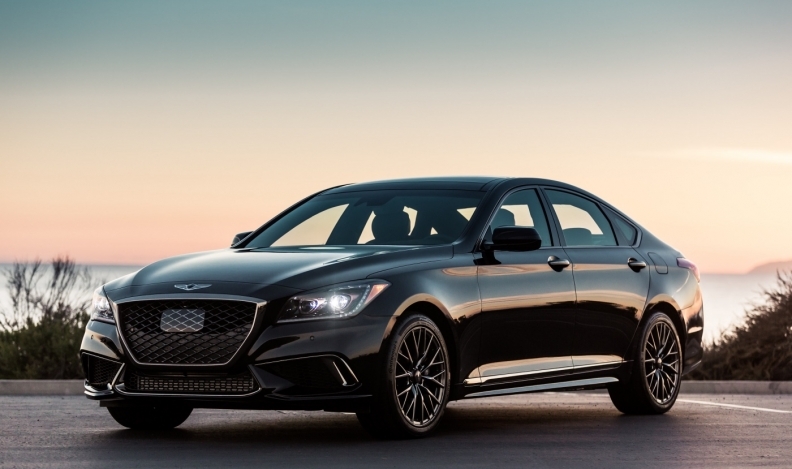 Hyundai’s luxury brand Genesis is adding the G80 Sport to its 2018 model-year lineup with an all-inclusive, guaranteed price of $62,000. Genesis revealed the G80 Sport at the 2017 Montreal International Auto Show in January. The set price includes all freight and delivery fees as well as a suite of services including Genesis at Home valet service, complimentary scheduled maintenance, map updates and more, all for five years or 100,000 km. The G80 Sport comes with a 3.3-litre twin-turbocharged V6 engine. It will slot between the base V-6 sport sedan and the top-end V-8 G80. The G80 Sport features 365 horsepower and 376 pounds-feet of torque. Hyundai’s new Genesis luxury brand officially went on sale in Canada in November 2016, but without specific stores. The Korea-based automaker is selling its high-end sedans in a concierge manner as the initial volume is too low-volume to justify its own dealer network. Instead, the “Genesis at Home” program has sales staff bring demo cars to the homes and workplaces of prospective buyers. There is at least one Genesis dealership planned for Kelowna, B.C., tentatively scheduled to open in late 2021. Genesis also offers a larger G90, available with V-6 and V-8 engines.